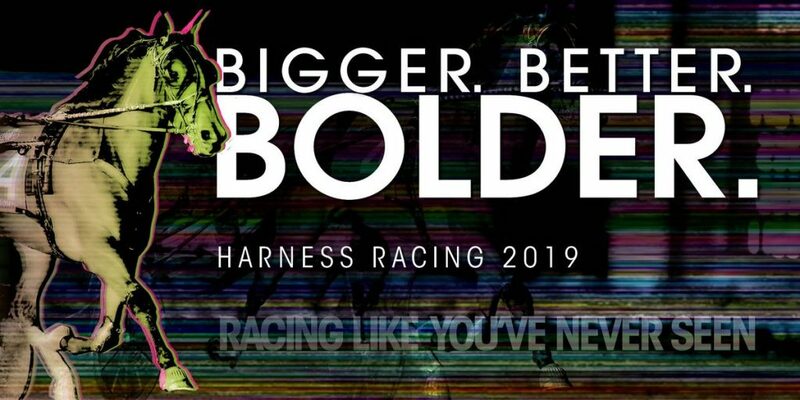 It was worth all the hype and worth the wait to see harness racing’s new “It” horse. 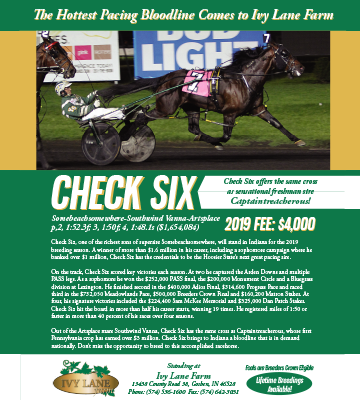 Lazarus N made his U.S. debut an impressive one, winning the 25th edition of the $325,000 Dan Patch Stakes Friday, Aug. 10 at Hoosier Park, just 50 days after arriving on North American soil. It appeared Lazarus N had everything working against him coming into the race, but post position nine was no trouble for the superstar from “down under.” Yannick Gingras left the gate with speed and would later say he really didn’t have a plan – just to try to find a spot after showing some early speed. 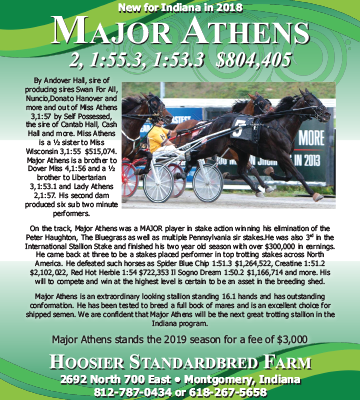 Another New Zealand invasion took place as Jordan Stratton rallied Bit Of A Legend N to the front to set the first fraction of 26.1 before being overtaken by his fellow New Zealand-born opponent Lazarus N. Both horses are by Bettors Delight, the leading sire in New Zealand. New Zealand horses sat one-two through the middle fractions before finding a challenge from the outside. Split The House and Brett Miller led the outer flow with Beckhams Z Tam and Ricky Macomber Jr. sitting second over. In the stretch, it was pretty clear that no one was going to touch Lazarus N. Split The House got within length at one point, but could not close the gap as Lazarus N crossed under the wire in 1:48.4, pacing home in :26.0 for the win over Split The House. 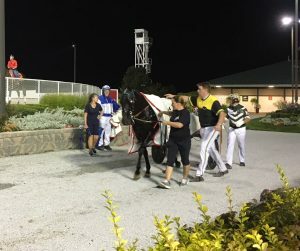 McWicked and Brian Sears rallied late to finish third over Bit Of A Legend N.
Hoosier Park connected with trainer Jimmy Takter, who was vacationing in Bermuda, via Skype after the race. Takter was able to view the replay of the race and was impressed with the newest member of his stable. That’s a nice thing for local fans to look forward to. And, fans in New Zealand were tuned into their superstar’s plans as well. News spread quickly following Lazarus N’s win in the Dan Patch. The beloved six-year-old stallion has been New Zealand’s most successful racehorse, regardless of breed, in the past few years, and although Lazarus N has left the country, his fans have not forgotten about him. New Zealand seemed to be the theme of the night. Earlier in the evening, driver Sam Widger scored his third of four wins on the night with Risk N in the $29,000 Gregg Haston Memorial. 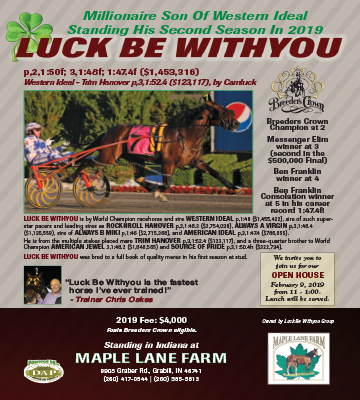 The race began in 1997 to honor Indiana’s first leading driver and trainer, Gregg Haston, who was tragically killed in a car accident just days after the 1996 Dan Patch Invitational. A surprise in the field, Risk N, trained by Jeff Cullipher, turned in a final panel of :26.4 for the win by a neck over Jet Airway and LeWayne Miller in 1:48.2. The Changeover seven-year-old horse paid $18.40 to win. 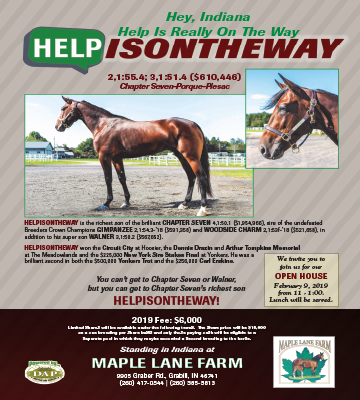 He is owned by Cullipher and Tom Pollack. It was one of three wins on the night for Cullipher.